Edna Ferber’s story from 1917, “The Gay Old Dog,” begins a showcase of 40 stories. Stories by Ernest Hemingway and F. Scott Fitzgerald hang on the pages of this book like Mona Lisas of early 20th-century American literature, and, with the inclusion of a stingingly funny story by Stanley Elkin, who taught at Washington University, Lisa grins. Stories by Flannery O’Connor, John Cheever, Raymond Carver and Joyce Carol Oates constitute just a few more exhibits from the first part of book. You can read my review of 100 Years of the Best American Short Stories by Lorrie Moore and Heidi Pitlor in the Sunday, December 27 edition of the St. Louis Post-Dispatch by clicking the image below. 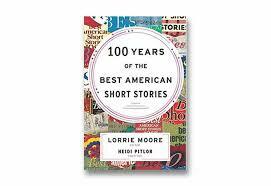 You can buy 100 Years of the Best American Short Stories from Barnes & Noble. 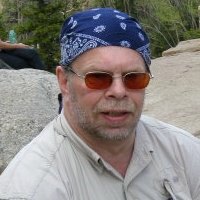 Michael Cunningham opens his new reimagined fairy tale collection by assuring us that most of us are safe from spells and curses, since we can manage our own undoing without giants, witches, or gnomes. Still, we don’t mind seeing trouble fall on the all-too rich and famous, the bold, or beauties now cursed bald and less beautiful, in stories that remake European tales by Hans Christian Anderson, W. W. Jacobs, Jeanne-Marie Leprince de Beaumont, or those collected by the Brothers Grimm. 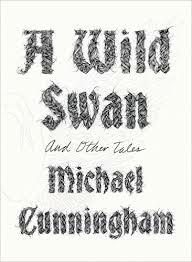 You can read my review of Michael Cunningham’s Wild Swan and Other Tales in the Sunday, December 20 edition of the St. Louis Post-Dispatch by clicking the image below. You can buy A Wild Swan and Other Tales from Barnes & Noble. Buckley’s story begins with a kind of preface: a news story from Aug. 28, 2017, reporting that an artifact resembling the famed Shroud of Turin, thought to be the burial cloth of Jesus Christ, had been mysteriously found in the tomb of Pope Leo X. It seems 500 years ago, plenty of shrouds, among other faked artifacts, crowded the market. 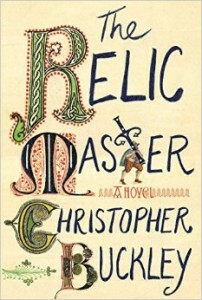 You can read my review of Christopher Buckley’s Relic Master in the Sunday, December 15 edition of the Boston Globe by clicking the image below. You can buy The Relic Master from Barnes & Noble.